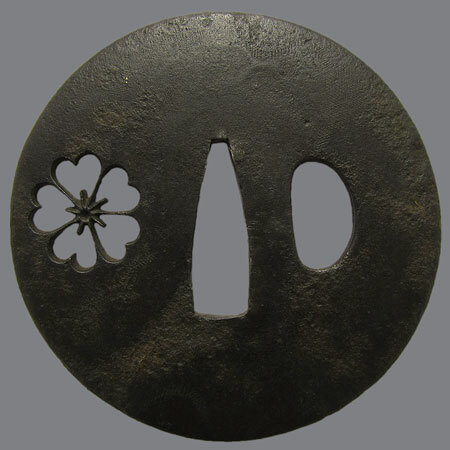 Tsuba with small cut decor in shape of negative picture of sakura flower. 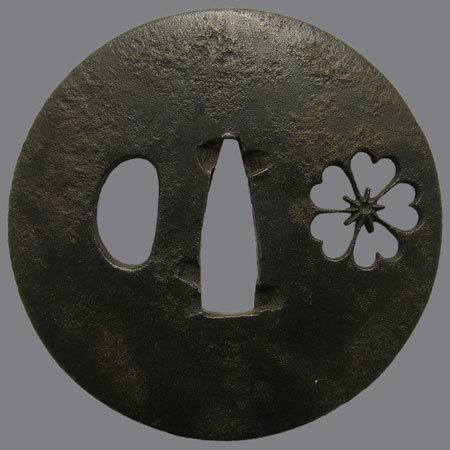 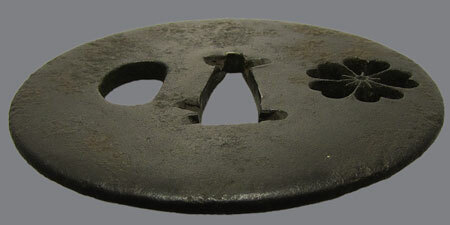 On the surface there are cross hatch cuts - some time the tsuba was inlaid with nunome zogan. 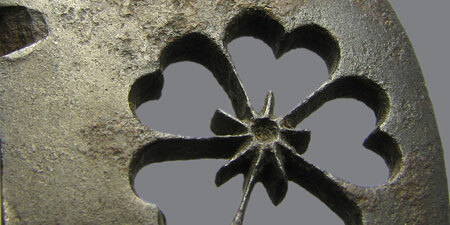 Maru Gata, maru mimi; 7,1 х 7,1 x 0,4 cm.